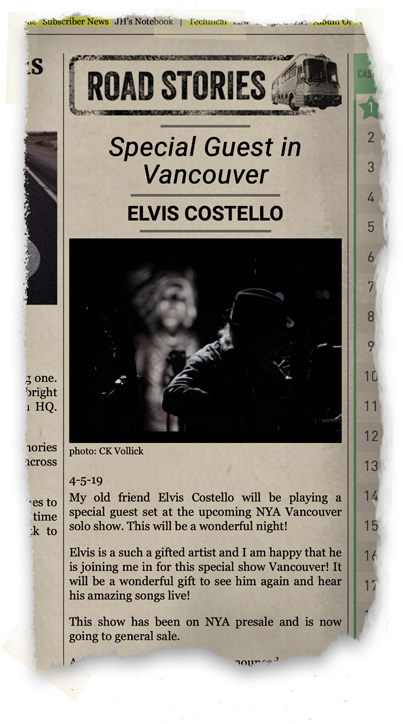 Elvis Costello will be playing a special guest set at the upcoming NYA Vancouver solo show at Queen Elizabeth Theatre on May 15. Per Times-Contrarian | Neil Young Archives: "A second show may be announced. It would initially will be presale and then go on general sale a short time later, just like we always do with NYA shows." Pacific Northwest shows are now on sale to the general public! Also, see Elvis Costello plays at Vancouver Olympics Tribute to Neil Young. 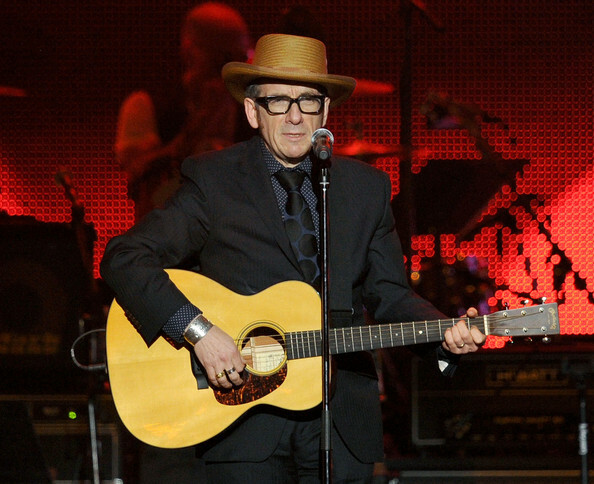 Also, see Elvis Costello honors Neil Young as MusiCares Person Of The Year. The last time I saw Elvis he dueted w Emmylou on Tell Me Why at a BSB. NY has gone and made us Spokane attendees jealous.